The Alumni Association will present Cabrera and Richards with their awards at 11:30 a.m. on Saturday, April 25, 2009, immediately preceding the All-Alumni Reunion Picnic. The picnic is a new Reunion event that will bring hundreds of alumni together to see friends and enjoy alumni wine, beer, and al fresco cuisine. The award presentation will take place in the Humanities Lecture Hall; the picnic will be held close by in the Stevenson College Courtyard. Both are featured events of UCSC's Reunion Weekend, April 24-26. Rickford will be honored on Founders Day, October 23, 2009. Alan Richards has had a distinguished 32-year teaching career, first in the Economics Department and more recently in Environmental Studies. His class, Blood and Oil: Energy, the Middle East, and War, is legendary on campus. His experience living in the Middle East and working at the World Bank, the United Nations, and the Agency for International Development informs his teaching, as does his interdisciplinary approach to scholarship. He is known for fast-paced, beautifully structured, powerfully delivered lectures sprinkled with moments of brilliant humor. "The readings he assigned were superb and still occupy important places on my shelves," said an alumnus who now teaches at Cornell University. A student in the Blood and Oil class said, "Some classes are difficult to sit through, but in his, it's 'tell me more.'" 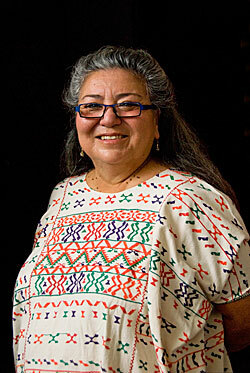 Cabrera is the director of El Centro, UCSC's Chicano Latino Student Resource Center. She has worked at UCSC for 24 years in a variety of positions, including as a counselor in the Educational Opportunity Program. She has inspired many generations of students. "I can think of no one on campus more committed to helping our students reach their full potential as young scholars, leaders, and human beings," said her supervisor, Executive Director of Student and Academic Support Services Larry Trujillo, in his nomination. One of her many student admirers said that Cabrera "has created an atmosphere of home and protection at El Centro." 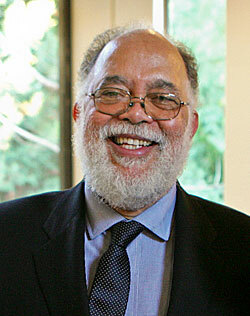 Rickford is professor of linguistics and Pritzker University Fellow in Undergraduate Education at Stanford University. 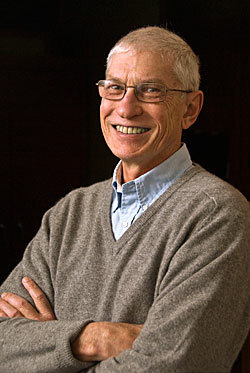 Through his scholarly work in sociolinguistics, Rickford has enhanced understanding of the connections between language, ethnicity, and social class. He received recognition during the Oakland Ebonics controversy of 1996-97, which erupted when the Oakland School Board voted to take into account African American vernacular language ("Ebonics") in their language arts lessons. Rickford has been a dedicated mentor to students; among his former students are a member of the U.S. Congress (Barbara Lee, D-Oakland) and faculty at the nation's top linguistics programs. Interested members of the campus community and the public are welcome to attend the award presentation and/or picnic. Picnic tickets are $18 each for Alumni Association members and $20 for nonmembers. The RSVP deadline is Friday, April 17, and early reservations are encouraged. To RSVP for the awards presentation or picnic, or get more information on Reunion Weekend events, go online. You can also get information about UCSC Reunion Weekend or Founders Day by calling the Alumni office at (831) 459-2530 or (800) 933-SLUG.